Hundreds of thousands of homeowners tackle major projects in their home each year, with the majority using licensed contractors to get the job done. Construction contractors in both residential and commercial lines of work are required to meet certain licensing guidelines in order to operate their businesses legally in the state where they work. This means they may have to complete an exam covering construction practices and skill sets, hold certain bonds or insurance coverage, or have a specific number of years in the industry. While taking the time to vet a contractor in terms of his or her license status, bonding, and insurance, or experience, there are instances where things do not go as planned. Homeowners who end up working with a bad contractor may face challenges in recouping their losses. However, there are a handful of steps homeowners can take to get their money back, either directly or indirectly, when a contractor did not fulfill his obligations. The best practice, though, is to pursue one or more of these remedies after having a conversation with the contractor. If that does not create a viable solution, determine which fix works best for your circumstances. Small claims court is a legal venue for homeowners who feel they are owed money back from a contractor. In small claims court, individuals bring small monetary claims against other individuals or companies, typically with damages of no more than $10,000. However, the amount you can claim depends on the limits of your state. During a small claims court case, you present your claim against the contractor for faulty work, a failure to meet contractual obligations or other issues that you feel left you with a loss. If the contractor does not show up to the case, you will win your judgment by default. However, you will be responsible for collecting the amount you won which may be easier said than done. If you have a case worth more than your state’s small claims limit, or you feel as though a legal expert may help in the matter, hiring an attorney is an option as well. 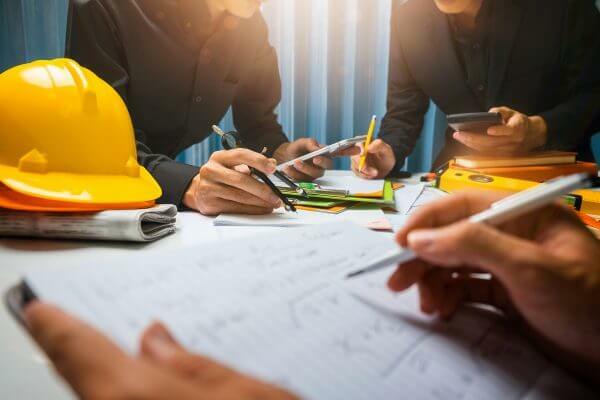 Attorneys with experience in the construction industry will know how to find weaknesses in a contract, as well as how the work performed or left incomplete violates a contract. The attorney can help you determine what you may be owed, and the best possible route for pursuing the contractor or business. Hiring an attorney is the most costly remedy. You may pay a few to several thousands of dollars to get legal help, and the process to file a lawsuit takes more time than other options. Depending on your state, contractors in the construction industry are required to have a license in order to operate a business legally. The licensing details are submitted to a state licensing board for verification and approval, and they are renewed every one or two years. If you are having trouble getting money back from a contractor, get in touch with your state’s licensing board and file a complaint. While the state board may not provide assistance directly with recouping your losses, a complaint against a contractor may mean the loss of his or her license. This could prompt the contractor to return what is owed to you. Part of the licensing process for contractors is getting a surety bond. A contractor license bond provides some peace of mind to customers in the event something goes wrong. If a contract is not completed per the terms of the agreement, you may have the ability to file a claim against the bond. Surety agencies will work with you to determine the best solution to the issue, whether that is a payment for damages, hiring a new contractor or maid service, or prompting the initial contractor to complete the work they promised. One of the fastest and most cost-effective ways to get a contractor’s attention and potential reimbursement for losses due to bad work is using online review platforms. Any combination of social media, online review sites, or community boards can be used to provide detailed information about your experience with a contractor and the less-than-quality work completed. Contractors want to maintain their reputation in the community, so posting a negative review could prompt them to make the wrong right. However, it is important to post reviews that are true and to have evidence of the shoddy work if possible. Contractors have the ability to sue you for false statements or libel if you post a review that isn’t honest. One or more of these remedies can help you get your money back from a bad contractor, or prevent the contractor from performing low-quality work for another customer in the future. Be sure to first take time to speak with the contractor to see if a resolution can be made before pursuing any of these strategies.